Education is a key focus area of The Junior League of Tampa, with a particular emphasis on emerging literacy. However, the League noticed areas across Hillsborough County that were under served and did not have access to literacy promotion resources. 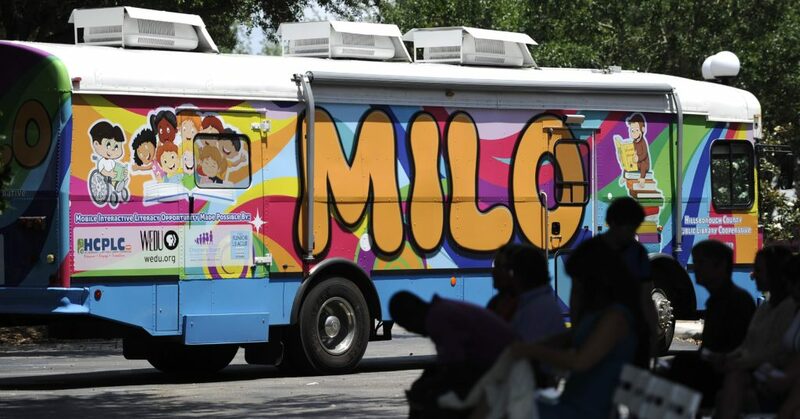 In 2016 the MILO bus was launched in partnership with the Children’s Board of Hillsborough County, WEDU PBS, and the Tampa-Hillsborough County Public Library. MILO stands for Mobile Interactive Literacy Opportunity. The MILO book bus visits underserved locations around Hillsborough County hosting literacy events for the entire family. This year MILO has hosted over six events all over Hillsborough County, including Plant City, Ruskin, and Seminole Heights. These events feature literacy activities, meet and greets with PBS characters, and book giveaways. Over 900 books have been distribute to kids at MILO events this year. MILO also provides children the chance to access library cards and the MyON program, a free online database with over 4,000 digital books. Thank you to the T. Rowe Price Foundation for supporting MILO!